Marinate chicken in oil, lemon juice, pepper, salt & paprika for at least ½ hour or preferably overnight. Grill chicken or cook indoors. In a bowl blend yogurt, cucumbers and dill. 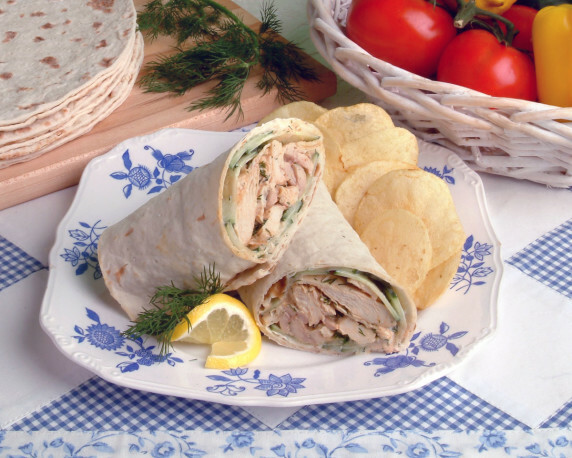 Place chicken with yogurt sauce on loaf and wrap.